End of Summer... Boo Hoo Hoo! Alas, the hot weather will be coming to an end. Summer vacation over. School begins. See you later, August! This year, The Avengers came out in theatres. 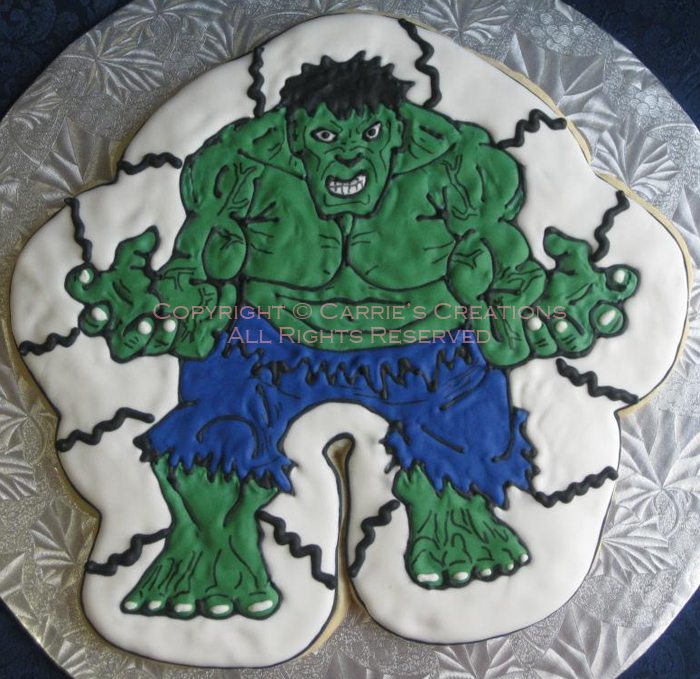 How fitting that my co-worker's nephew wanted a Hulk cookie. Not any normal sugar cookie, but a HUGE sugar cookie. This one was about 10" so I had to put it on a 12" board. 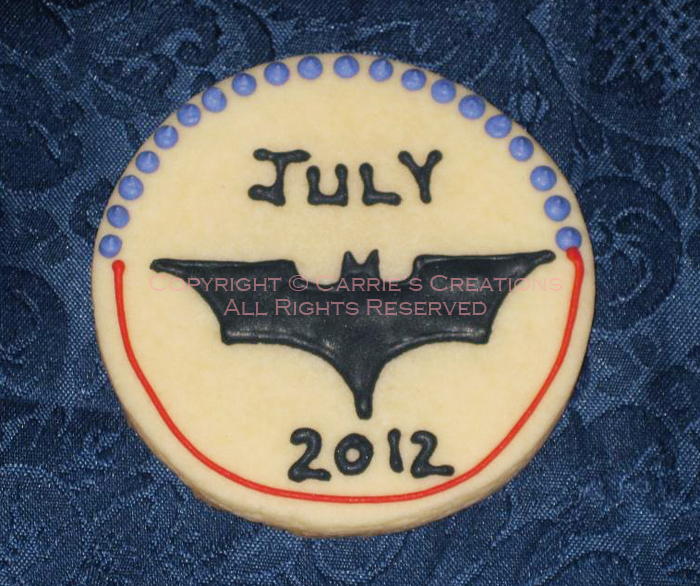 The royal icing covered the entire cookie, and I added edible marker details. Let's just say it was a smashing success! 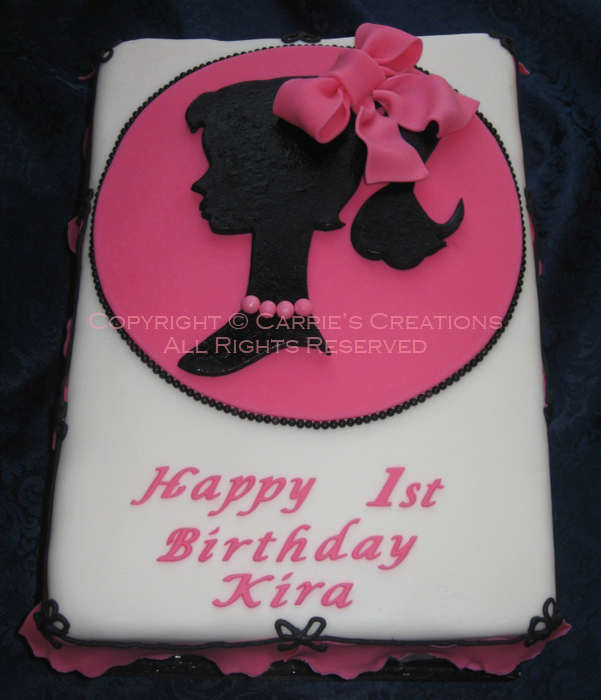 Dear Solmaz requested a cake for a little girl turning 1. I modeled the design after Bobbette & Belle's Barbie cake... simple silhouette with girly frills. I used hot pink, rather than baby pink. The 3-layer chocolate cake was filled with strawberry Swiss meringue buttercream. 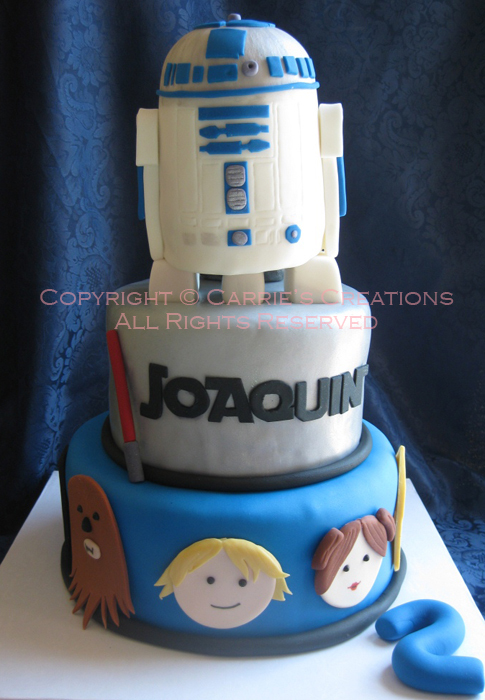 Lucky Joaquin got two cakes for his 2nd birthday... a tiered cake with R2D2 and various fondant Star Wars icons along the sides, and a sheet cake with fondant Yoda. 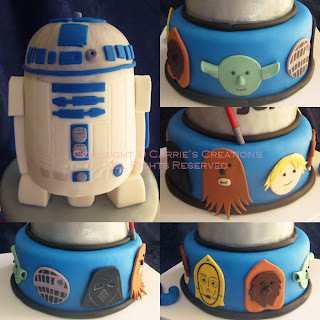 R2D2 was made of Rice Krispie Treats and fondant. 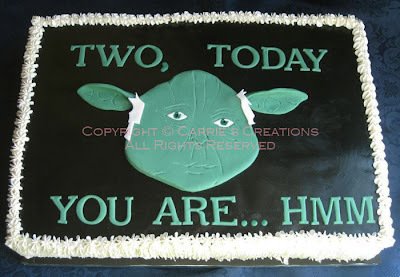 Yoda is just plain fondant. The cakes itself was chocolate with vanilla Swiss meringue buttercream (Yoda cake) and chocolate ganache (R2D2 cake). 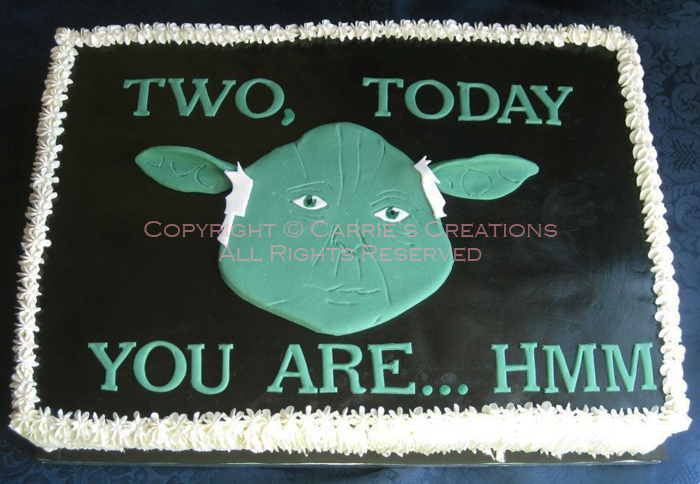 This was done for my friend Kristina (www.pearstudios.ca), for her hubbie's birthday. 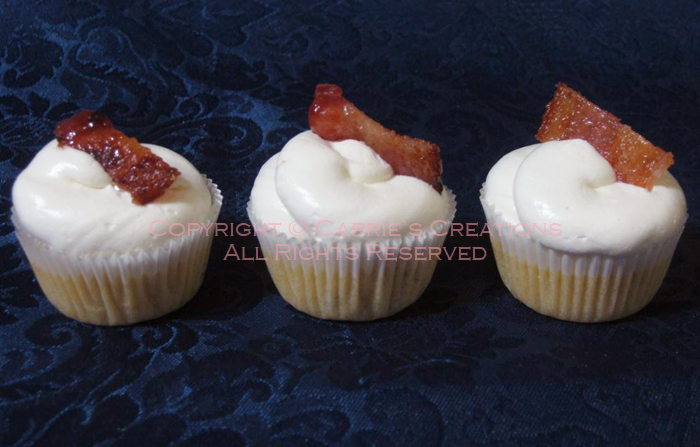 The vanilla cake was filled with strawberry Swiss meringue buttercream. 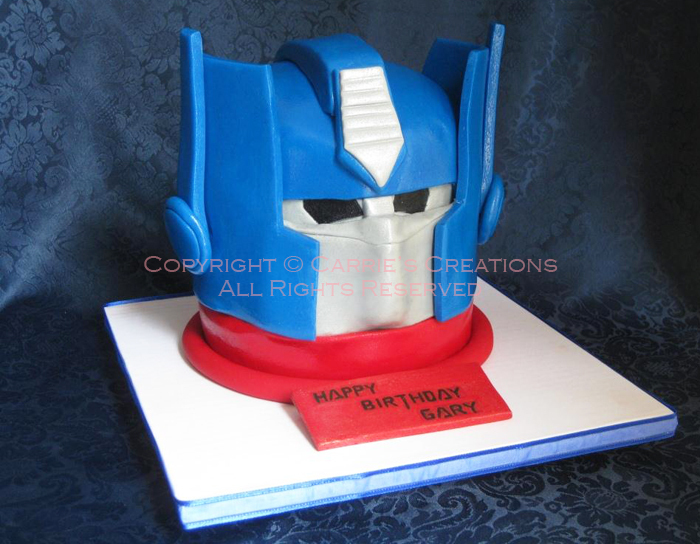 All decorations are made from fondant/gumpaste and the mask was brushed with silver lustre dust. Little Mieke turned 4, and her nickname in German means "troublesome bee." I used royal icing for the design, pearl lustre dust for the wing, yellow and black glitter for the body, and edible marker for the facial details. Solmaz's son turned 6, and the theme was Super Mario Brothers. The cake was chocolate with vanilla Swiss meringue buttercream. It was covered in fondant, then I sprayed blue food colour in gradation. 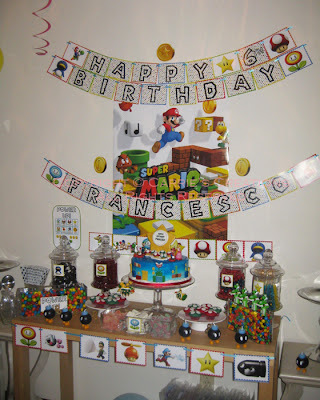 All the decorations were made from fondant/gumpaste. I handwrote the birthday message on top of edible icing circles. 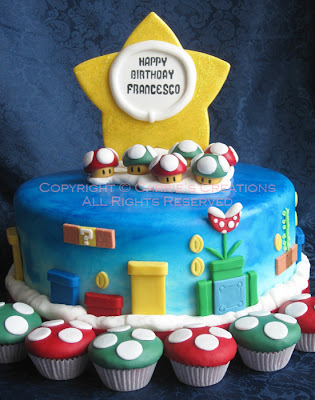 The mini "mushroom" red velvet cupcakes had cream cheese icing centres, and topped with fondant. 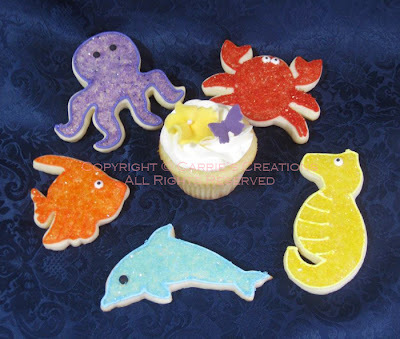 The delivery day was really wet (rain and humidity), so the fondant appeared shiny and became sticky to the touch. But it was still OK! Solmaz added chess pieces of the characters, so you knew that it was from the world of Super Mario. Check out the two hanging off the cake plate! We have a comic book store in Whitby, and we wanted to test out how treats would sell in their store. The day the new Batman movie came out, the store wanted to have an event for its release. I hope the recipients enjoyed them! The summer theme turned into ocean-themed (I wanted to do something different). The cookies had a mixture of royal icing and sprinkle decorations. 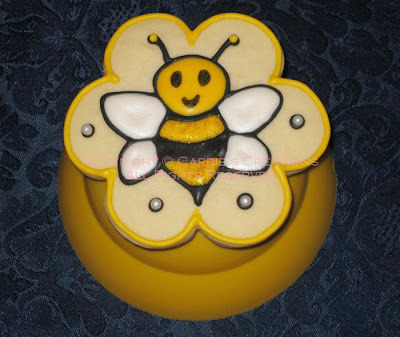 The cupcakes (vanilla, chocolate, and marble) were iced with vanilla Swiss meringue buttercream and topped with purple butterflies and yellow flowers with a sugar pearl centre. 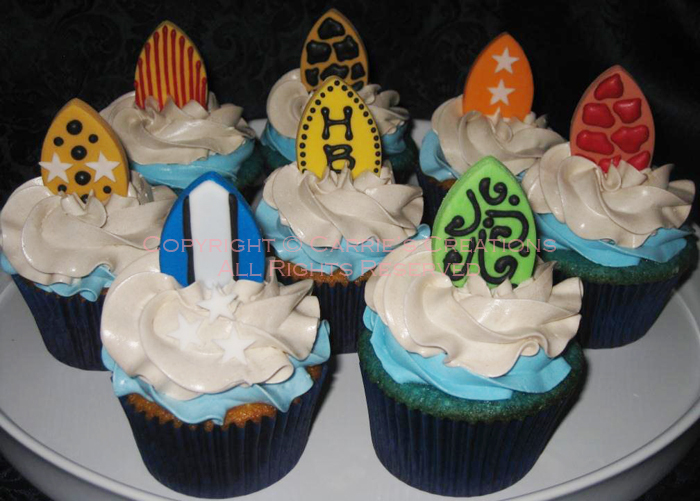 My colleague requested for some cupcakes for a 5-year-old boy. Not knowing what he'd like, I decided to make it summer-themed... so, surfboards? I used a orchid petal cutter for the shape, then made various details on each surboard. The lemon (yellow) and vanilla (dyed blue) cupcakes were topped with vanilla Swiss meringue buttercream, beige (sand) on top of blue (water). I didn't want to bring my usual cookies or cupcakes to a BBQ, so I decided to give this recipe a try. It involves more prep, but turned out cute. And the recipe just had enough portions that was stated, a surprise to me, because others would yield maybe a few more.